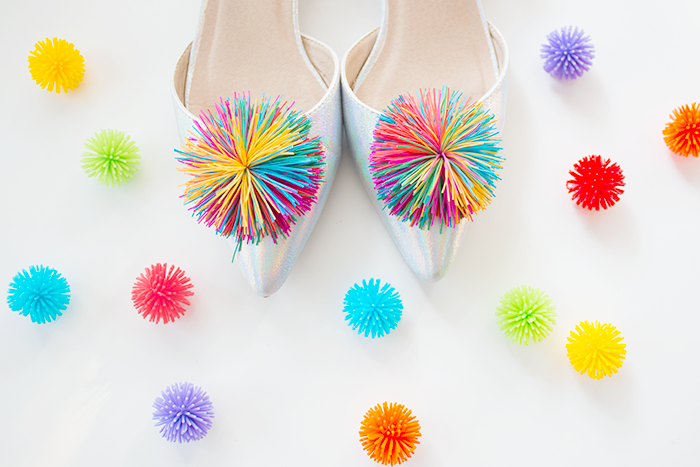 Now before you go and start telling all your friends that I'm a DIY genius (although hey, feel free), I didn't make these shoes — but I kind of wish I had. They're from ASOS, and as much as I love them (seriously, squeeeeeal! ), the first thought I had when I saw them in person was "Dang! I totally could have made these." 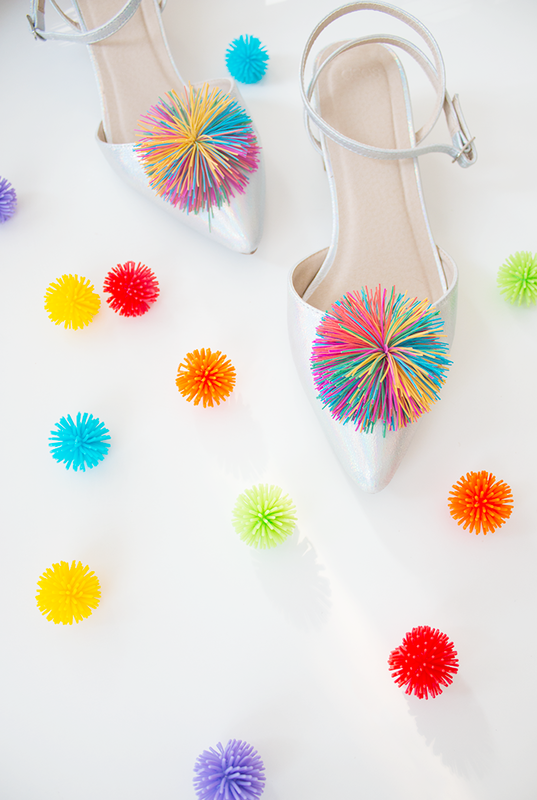 Now tracking down the perfect hologram heel to glue Koosh balls to may not have been the easiest or most productive use of my time, but you get the point. So in case you're so inclined (and happen to have the perfect heel for the job), here's a little inspiration to get your DIY juices flowing (gross! ), and if not, hey, credit cards were invented for a reason.